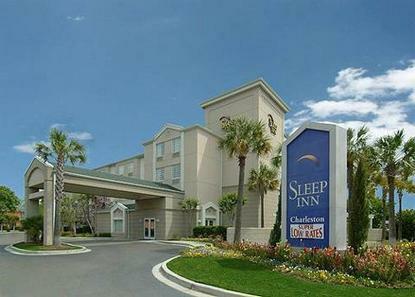 2004 SLEEP INN OF THE YEAR Central to North Charleston. 10 miles from historic downtown Charleston. Shopping and restaurants nearby. Complimentary expanded continental breakfast. Rooms include: refrigerator, iron/board, coffee maker and hair dryer. Hotel is a wireless high speed Internet hot spot. Pet accommodation: 10.00 per night.